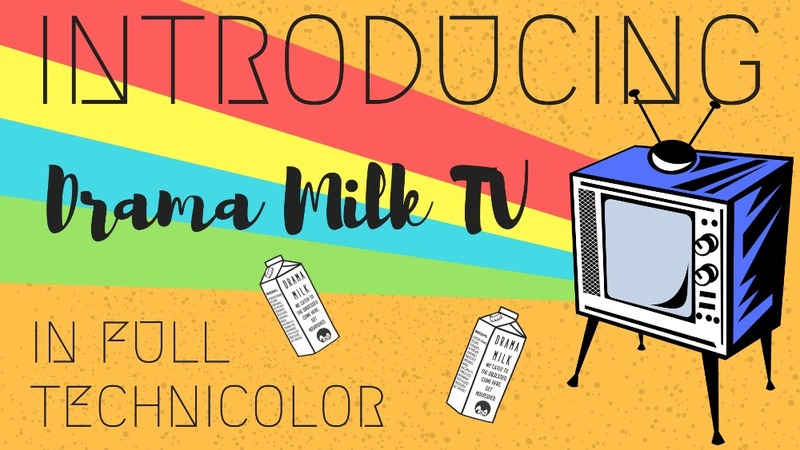 Home > Drama Milk TV > Introducing Drama Milk TV! We are trying out something new on Drama Milk which is Drama Milk TV! You may have noticed these videos playing either in your sidebar area or after the first post on the homepage. We love it and plan on filling it will lots of adorable videos. So, Drama Milk TV is basically an idea I got while watching Korean TV shows live and thus also watching all the commercials that happen during the show (you know, the ones that aren’t embedded in the actual show). Most of the commercials in Korean have a star attached which is very different from commercials in America. So I casually thought that a lot of fans would love to watch Korea commercials due to that reason alone. I also really love perusing magazines and interviews of everyone that exists on Earth, so of course I am all over Korean magazines. One great things magazines do well is make their own videos. These videos can range from mini interview videos to concept art videos to straight commercials (like for luxury items such as jewelry, bags, or cars). 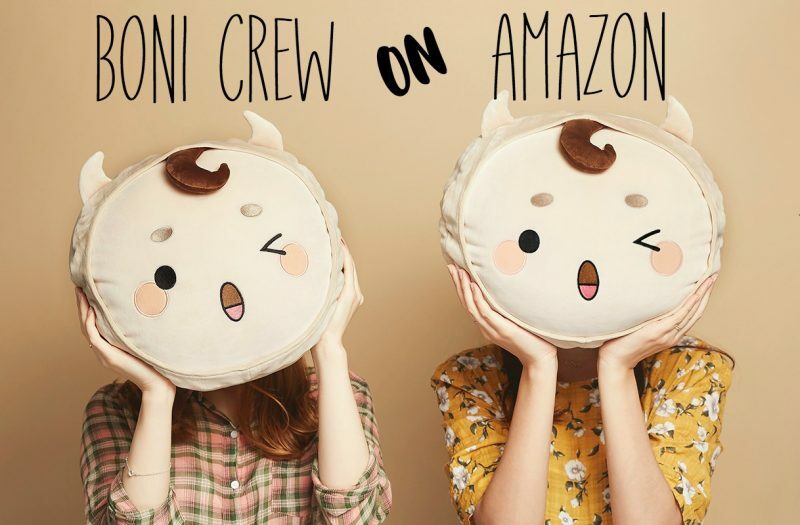 They are normally only seen on the magazines website or on social media sites like YouTube and you really only see them if you are looking for them (hello, me). Let me get into the details! We plan on uploading new videos to DMTV every other week. But don’t hold us to that, it might be once a month depending on how busy we are that month. For the videos, they will usually be pretty short in length, probably around 30-90 seconds which is the typical length of most of these commercials or short films. To see the original video, just click on the screen (twice on a cell phone) and it will send you there. In addition, on a cell phone you click on the screen to pause/play or to turn the volume on or off. On a desktop, just hover the mouse over the screen and you should see pause/play/volume. We may upload longer videos, but probably not more than a few minutes. In addition, if there are any captions or interviews in the video then our goal is to translate it so that everyone knows what is going on. We will most likely post it raw first, translate it later, then repost it to DMTV. (Y’all, I just noticed that DMTV is “MTV” with a “D” in front, it is kismet!). 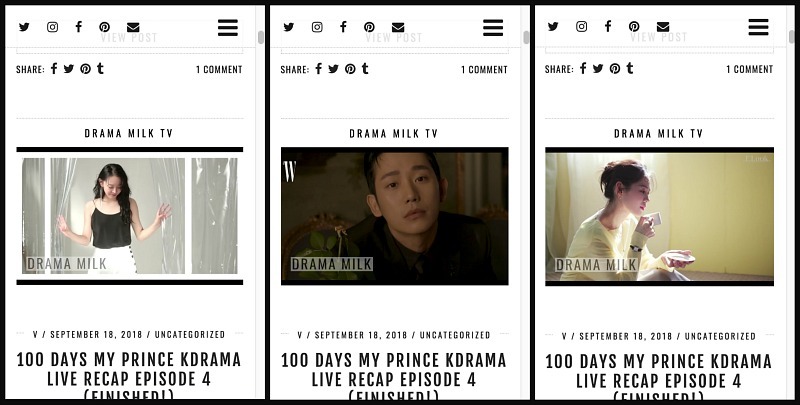 Have you noticed our Drama Milk TV videos yet? On the cell phone it is after the first post on the homepage. We are still playing around with placement on the desktop so you might see it on the sidebar or after the first post, not sure. If you don’t see it at all then you might have adblocker on (hello, the perfect opportunity to whitelist us!). We use Primis for our video hosting so we don’t actually have any control over that. We have been beta testing for about one month now. There are some hiccups, for instance, I was looking at DMTV on my cell phone and noticed an ad was playing every 5 seconds. I had to contact Primis to see what the deal was (they fixed it very quickly). If you see anything weird, like the video repeats or you see an add every 5 seconds, let us know. To troubleshoot it, you can click pause on the video then play. I did that a few times with success. We are excited about this new feature and very enthused about filling it with lots of fun commercials and magazine films. We aren’t limiting it to that though so if you have any videos that you are interested in, send us a link here and we’ll check them out! Right! Just the commercials themselves nowadays are interesting. I also like how they are different from the typical commercial in the states. What good news! I’ll look with interest at what you uploud! And let me ask you a favour…Could you translate the new teaser of The Third Charm? I’m really excited about this upcoming drama :). Oh yes, we can translate this one! We just got back so it might take a couple hours, but look for it here or on our twitter page by tomorrow! If you don’t see it then send me a reminder! G – Can you just stop you pervert a-hole? Get out! G – Ohn Joon Young! B – When I get a perm, will I look handsome? G – Don’t you trust me? G – Ohn Joon Young, fighting! G – It is our day one from today. B – The woman I can’t forget even though I try. B – The woman I should not have seen again. C – I met her again. I watched the commercial just now and an add just played, just to let you know. Maybe it depends on what country is using this site, im not sure. Anyways, i also noticed some of the commercial doesnt have sound on it even if i unmute the volume. I thought its my phone but the next commercial, the volume was loud and clear. I noticed that thing too about the sound. I’ll ask our video host about that. I have little control over the ads, but I can tell them if they are showing up too frequently. I think there should be one every video or every other video at least in the first 3 videos. If you see two in one video, then something might be up. If you see 3 in one video then there is definitely a problem. I didn’t know what the drama milk tv was for, so I appreciate this post. I wish they wouldn’t auto play though. I didn’t see any captions on the few I saw so I didn’t understand their purpose, I’ll give it a try again later. Some of them don’t have any words or captions or anything and are just there for the pretty 🙂 . We have like 20 or so videos in the queue, but we can only show 9 at a time (which is a bummer). Not sure if we can stop autoplay, but I will ask them. If you want to rewind then you can touch the dark grey line at the bottom of the video. It blends in with the screen so it is hard to see. It is also kind of hard to touch it at just the right spot. I’ll try to look into that too. V, just want to inform you on whats happening while i was watching the dramamilk tv a few minutes ago. I watch 2 ads on drama milk, the first ad was from the lead actress from 30 still 17 and in the middle of the ad, another ad pops in for a few sec then the drama milk ad continies after that. The next one is the worst one, forgot whats the name of the actress in the ad, but its a long ad, and atleast 4 or 5 ads popped-in during the drama milk ad. Anyways just want to let you know whats goin on while i watched some ad in dramamilk tv. Thanks! Thank you so much Rose! Did you watch on a cell phone or desktop? That has happened to me on a cell phone and it is so annoying!!!! I will let them know that too many ads are showing up. Hopefully they can fix it asap. Oh, just thought of the actress, probably the Kim Ji-won one? V, just want to let you know, i like the new setting of drama milk tv. It doesnt autoplay, the sceen is dedicated solely to the commerical itself and not shared with small boxes at the bottom that shows whats the next ad. Im just a little curious, does all ads in korean runs more than 30 seconds or it just depends on the product or brand? Or those ads you feature are for online use only thats why its long? I thought about you when i found that one! That one is actually by Brid.tv. The other one is by Primis. I’m testing them both out to see how they do. The Brid.tv one is only on the desktop though and is limited in the size/length of the videos because I have to host the video on Drama Milk. With Primis, I can host on their site so the length of the video can be longer. All the videos I have seen on Korean TV have all been around 30-40 seconds. Some of them are a little less like 20 seconds. The internet only videos are a bit longer, like up to 1 minute. Oh, thats why it went back to the old setting, i thought i was just imagining things when that new setting disappered the following day 😄. And by the way the pop-up ad came back yesterday but it happened just once, maybe 2 seconds, it was really short. Again, im watching from my phone. Let me know if they pop up very frequently! Primis makes all their money on the ads which is how they pay for the free service. But I would rather they don’t pop up freqently. The service guy is really helpful, he told me to let him know if it keeps happening (the 5 ads in 30 seconds thing). If so then there might be a larger technical issue they need to fix. But one add every 60-120 seconds is fine. Thank you for letting us know that, Rose. 🙂 Our site is troubleshooting a few technical issues that sprung up over the last 2-3 days. I’m not sure if you noticed but our entire Footer disappeared and only reappears sometimes and we also have some other weird things happening (also ad related). Hopefully we can fix all this weird stuff soon. I think once we do that then the ads will return back to normal and our footer might reappear again! It is our fun little spot on the internet so hopefully we can fix it, I think we can 🙂 Right now I removed everything am trying to troubleshoot, but I plan on adding it all back slowly. Check out these two posts and the comments! Superb blog! Do you have any tips for aspiring writers? I’m hoping to start my own website soon but I’m a little lost on everything. Would you suggest starting with a free platform like WordPress or go for a paid option? There are so many choices out there that I’m completely overwhelmed .. Any recommendations? Cheers!